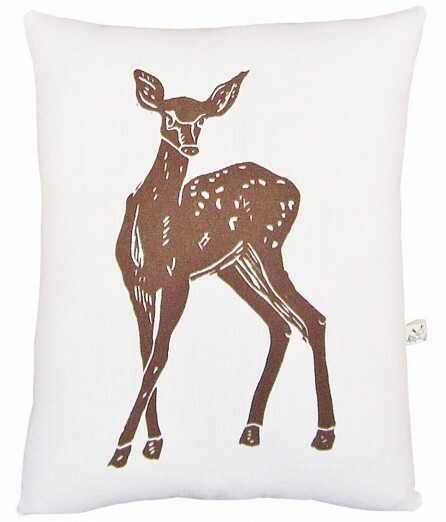 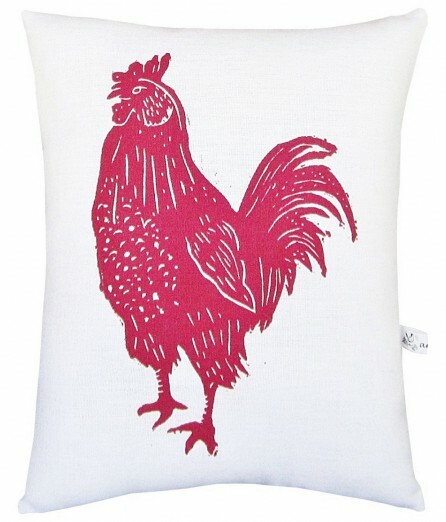 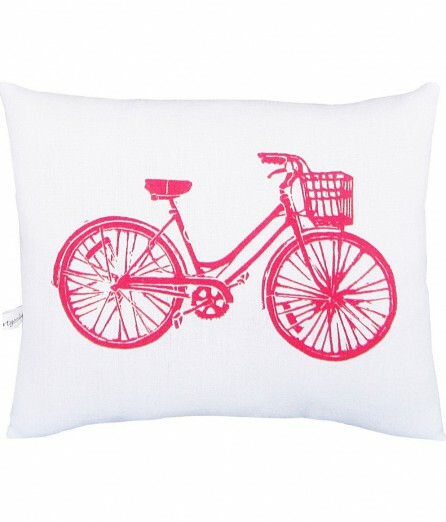 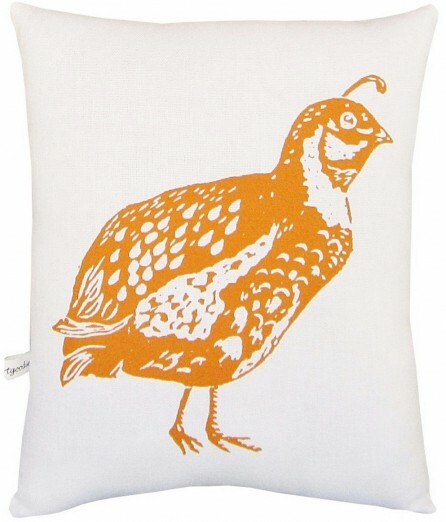 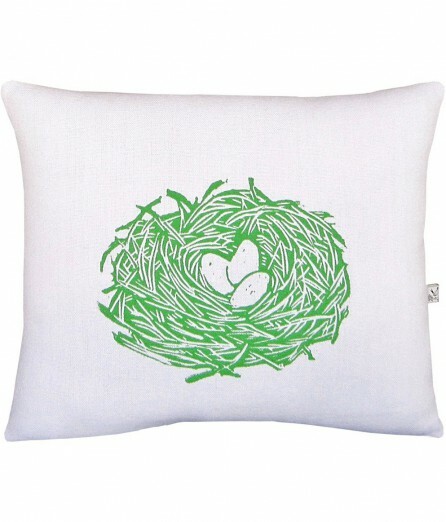 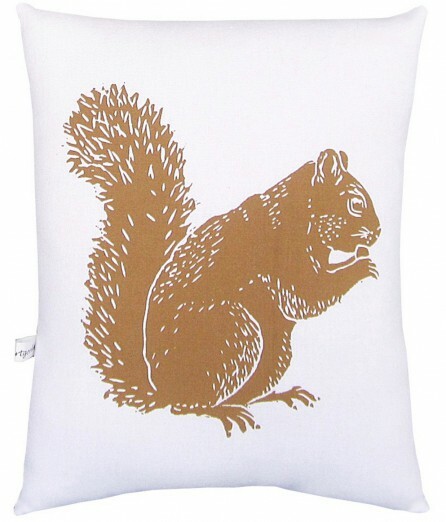 A cute accent pillow for your couch, chair, or bed! 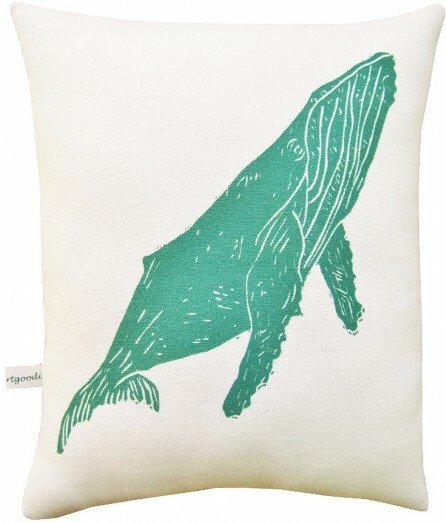 Cover is 100% cotton hand printed with one of my original linocut block prints! 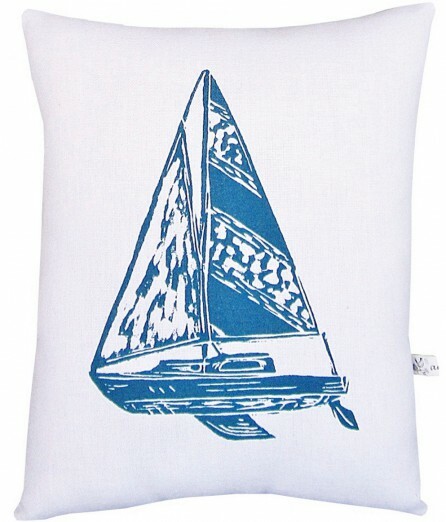 Sewn together with vintage fabric and stuffed with poly fil it measures 8 1/2″ x 10 1/2″.